Welcome to the Holiday Inn South Jordan. Salt Lakes most modern Holiday Inn hotel. We are located just minutes away from all of Salt Lake Citys major attractions and business, landmarks, outdoor activities, world-class skiing at Alta, Brighton, Snowbird, and Solitude Resorts, as well as shopping, museums, and events. Business and leisure travelers can unwind in our modern rooms featuring plush pillow top beds, free Wi-Fi, work desks, 43 flat screen televisions, plus microwaves, mini-fridges, and gourmet coffee, so you can work and relax in comfort and style.Our new South Jordan hotel features everything you need for an enjoyable, stress-free stay. Our business center, 24/7 market, indoor pool, hot tub, and fitness center are available 24 hours. Got a spill? We offer dry cleaning and onsite laundry services. We offer complimentary shuttle services to nearby destinations. Hungry? Enjoy delicious cuisine at our full-service restaurant and bar, open for breakfast and dinner, where kids eat free.With convenient access to UTA Front Runner & Trax stations our South Valley hotel offers quick access to the Cottonwood Ski Resorts, City Creek Center, Temple Square, South Towne Mall, Thanksgiving Point, Cabelas, Salt Palace Convention Center, South Towne Exposition Center, Gardner Village, Rio Tinto Stadium, and Corner Canyon Equestrian Park. 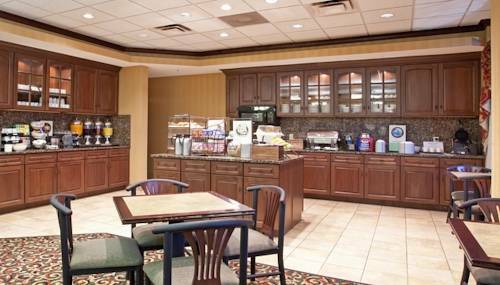 Jordan Gateway Bar & Grill: Enjoy specially prepared meals in the Jordan Gateway Bar and Grill for breakfast and dinner. Room Service available during specified hours. Bar and Lounge open daily. Copper Canyon: With over 1800 square feet of meeting space. Our modern, portable wall design gives you total flexibility in room configuration and seating. We are able to accommodate groups of 8-120 in theater, classroom, U-shape and banquet style seating. Cottonwood: Perfect for smaller functions with 600 square feet. We are able to accommodate groups of 8-40 in theater, classroom, U-shape and banquet style seating. Boardroom: The Executive Board room features built in 70' TV and AV. Can accommodate 8 people. Thanksgiving Point Golf CourseA championship caliber course, the Golf Club at Thanksgiving Point is 7,714 yards long and covers more than 200 acres, making it the largest golf club in the state. Ranked in the top ten new courses in the country by Golf Digest in 1997.